The very close net of transports, created by man and spread all over the world, is a way at pathogenous microorganisms’ disposal to spread throughout every country in a very short time. The viruses themselves, comfortably accomadated on their carriers, pass from a continent to another in a few hours. Since we know these mechanisms we shouldn’t let us be caught unprepared, at least from a scientific point of view, as for the epidemic of AIDS. Yet, the appearance of H.I.V. caused nearly the same reaction of incredulity and impotence the Romans had in the face of the epidemic (maybe smallpox) of 434-432 B.C.” Both medicine and any other remedy can do nothing”– Titus Livy writes in his history of Rome. Beyond all the questions scientists may have asked, they agree with those who asserted: “it’s not so important to know where HIV originated and who must be blamed but establish why and when”. 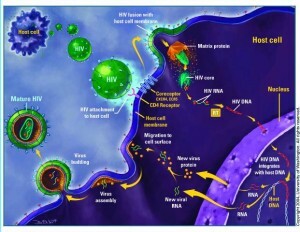 On coming back to the most scientific aspects of the researches on HIV, we can say the most convincing hypothesis about the origin of the virus is that both HIV-1 and HIV-2, the two variants of the virus, may be somehow correlated with the viruses causing a similar Immunodeficiency Syndrome in monkeys. On comparing, from a genetic point of view, human viruses with the ones of monkeys, we have seen HIV-2 is strictly correlated with the Mangabey virus of the homonymous monkeys, while HIV-1 is correlated with the SIV of chimpanzees. Even some viral samples, taken from the blood of a person living in Liberia, showed the same nucleotide sequence of the Mangabey virus. In another case of Cameroon HIV-1 which had been isolated, was much farther from all the other known strains of HIV than from a particular type of SIV (Simian Immunodeficiency Virus). There is also an attractive theory asserting all the various strains of SIVs and the ones of HIVs coming from them originated from a common ancestor, but this hypothesis isn’t certain at all. 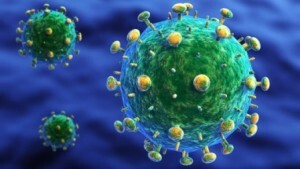 The only certain thing is that the appearing of viruses connected with AIDS is something recent and sudden. According to the majority of reserchers we can date the origin of the first SIVS in the last two or three hundred years. In fact in Asia and South Africa none of the primate specimens, coming from the African green monkeys which were imported there in the sixteenth century, turns out being seropositive. But the problem remains, that is how a double trans-species jump, a nearly simultaneous one, could occur. 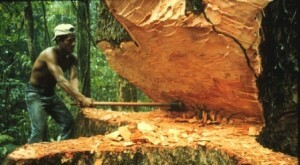 Wild deforestation can explain very well how man, on entering many ecological niches, previously inacessible, got in touch with monkeys in which more than two SIV strains were present. What we must understand is how it was possible for a double trans-species jump to take place nearly simultaneously in about twenty years. If the latter datum may seem improbable it’s enough to think of the manipulation of thousands of monkeys of every kind for scientific purposes or not. The matter of the double trans-species jump improbability, at this point, can be reversed and we can wonder why only two viruses, compared with the great deal of SIVs, man got in touch with. Yet all this might be explained with the fact that when HIV-1 and HIV-2 won the competition to conquer the longed human market, we can say they monopolized it and this way they excluded all the other competitors. In fact we know that when a human cell is infected by a particular strain of HIV, it’s immunized to be infected by other strains since the specific point on the cell surface is by now occupied by that type of HIV. Actually lots of vaccines contaminated by the viruses of monkeys were discovered and in the serum of normal men antibodies against SIVs were found and all this suggested a casual exposure to the retrovirus antigens of monkeys. Researchers have to face another difficulty, that is to explain the sudden and above all simultaneous appearance of AIDS in the largest epidemic centres: The United States and Africa. 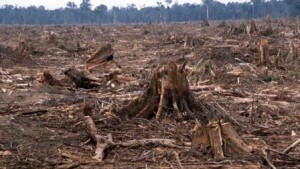 The hypothesis of AIDS origin, as a consequence of the invasion of many ecological niches and the intensive manipulation of monkeys for scientific researches, can make the problem clear if we think such animal material originates in Africa and America is the country where those animals are more used. Bryan C S, Is There Divine Justice In Aids? Why now and not before? Southern Medical Journal Vol.8 N.2 Pag. 199-202. Myers G, Maclnnes K and Myers L. Phylogenetic Moments in The Aids Epidemic. In Emerging Viruses. Pag.120-137 Edited by Morse S. Oxford University Press. 1993. Myers G, Maclnnes K and Myers L. A ” Big Bang” of Aids. In Phylogenetic Moments in The Aids Epidemic. Pag.127-9 Op. cit. Myers G, Maclnnes K and Myers L. Phylogenetic Moments in The Aids Epidemic. In Emerging Viruses. Pag.120-137 Edited by Morse S Oxford University Press .1993. Hahn B H, Shaw G M, Taylor M E,Redfield R R, Markham P D, Salahuddin S Z, Staal F W, Gallo R C, Parks E S, Parks W P. Genetic variation in HTLV-III/LAV over time in patient with AIDS or at risk for AIDS. Science 232:1548-53 June 1986. Blomberg J, Vincic E;Johnson C, Medstrand and Pipkorn R. Identification of regions of HIV-1 p.24, reactive with sera which give undeterminate results in electrophoretic immunoblots with the help of long synthetic peptides.AIDS Res Hum Retroviruses 6: 1363-72. 1990.